You start your own record label of course and that’s exactly what composer/songwriter/educator Randy Klein did. Pianist, singer, song writer, author, producer – and host of the best jazz interview show on the radio (and the Internet): Jazz Inspired. 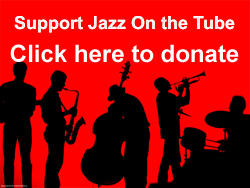 Jazz on the Tube’s Ken McCarthy interviews John Ernesto of Berks Jazz Fest.